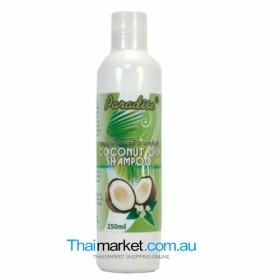 We express from fresh coconut meat without the use of heat, chemical solvents or high pressure. Why is organic virgin coconut oil so good for you skin? Virgin Coconut Oil contains tocotrienol, a form of Vitamin E that is 50 times more effective than the form of Vitamin E used in most cosmetics and skin creams . Vitamin E is a potent antioxidant that fights free radicals caused by poluution, stress and radiation. 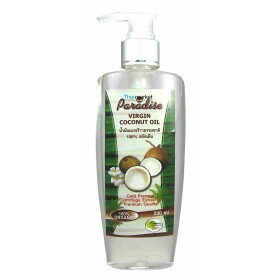 Virgin Coconut Oil is composed of more than 60% medium-chain fatty acids which easily and quickly pentrates skin and hair to nourish and moisturize. Why is organic virgin coconut oil so good for your insides? Apart from the gorgeous aroma and flavour, it's easily digested, even by weak, compromised digestive systems. The multitude of health benefits from consuming organic virgin coconut, including weight loss are far to numerous to mention here. Do a little research yourself and make the shift to this "super oil". Q: Why your coconut oil, aren't they all the same?